WASHINGTON (JTA) — Escalations between Hamas and Israel are nothing new. What’s missing this time, analysts say, is the alignment of outside interests that has resolved such fights in the past. Egypt’s government lacks the influence over Hamas of its predecessors and the United States is in hand-washing mode on the Middle East, said Ami Ayalon, a former chief of the Shin Bet, Israel’s internal security service. “In the past, Egyptians could play a major role and America had an interest” in pressing for ceasefires, Ayalon told JTA. Now, he said, Egypt’s new president, Abdel-Fattah el-Sissi, is strongly hostile to Hamas — a posture Israel appreciates but one that undercuts his ability to force a cease-fire — and the United States is not actively pressing for a truce. “Today, the way it seems from here, America couldn’t care less,” Ayalon said. The Obama administration issued a short statement Tuesday slamming the rocket fire from Gaza. He mentioned US Secretary of State John Kerry’s willingness to “engage robustly” and restore the ceasefire. 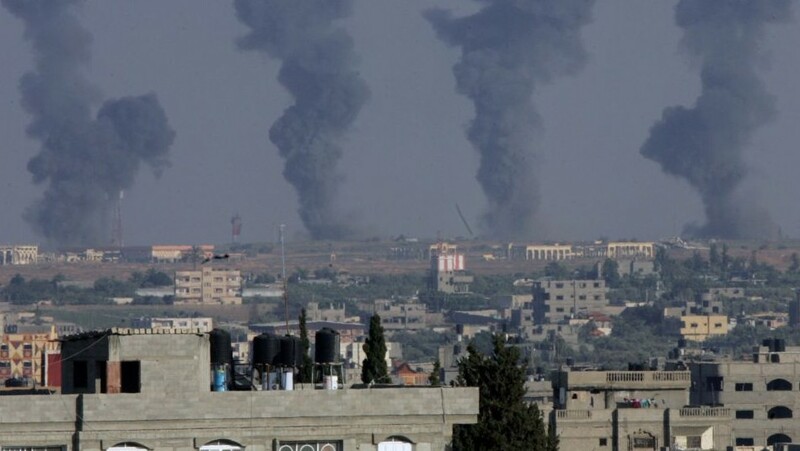 In the current fighting, scores of missiles have rained down on Israel from Gaza. Hamas unveiled longer-range rockets that for the first time hit targets as far away as Jerusalem. 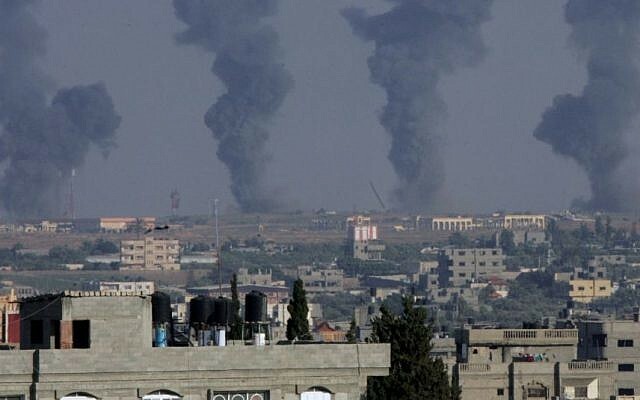 Palestinian officials told international media Tuesday that at least 15 people were killed in Israeli airstrikes. Intensive US interventions, in collaboration with Egypt, ended Gaza wars in 2009 and 2012. Shlomo Brom, a former director of the Israeli army’s strategic planning division, said the United States had little choice but to hold back in the absence of Egyptian influence on Hamas. Aaron David Miller, a former top US Middle East negotiator, wrote that holding back for now made sense for the United States because to intervene and treat Hamas as an equal to Israel would undercut America’s preferred Palestinian interlocutor, the Palestinian Authority, led by President Mahmoud Abbas. “The last thing Washington should be doing right now is bailing out Hamas, let alone engaging it directly or through cut-outs,” Miller, now a vice president at the Wilson Center, wrote in Foreign Policy. The conflagration is fueled by a slew of incidents: the kidnapping and murder of three Israeli teens; Israel’s military campaign in the West Bank against Hamas, which it blamed for the kidnapping; retaliatory rocket fire from Palestinian factions in Gaza; and the murder of a Palestinian teen from eastern Jerusalem, apparently by Jewish extremists seeking revenge for the killings of the Israeli teens. Brom said even more extreme rivals cornered Hamas into escalation. Jonathan Schanzer, vice president for research at the Foundation for Defense of Democracies in Washington, said Israeli officials told him that Prime Minister Benjamin Netanyahu exercised restraint in Israel’s response to the rocket fire until a blitz of 80 rockets on Monday. In a statement Tuesday evening, Netanyahu underscored his reluctance to have the situation escalate.